Epically Romantic by Ebony Dreams: Who's Who Wednesday Author Lee Ann Sontheimer Murphy! Who's Who Wednesdays! Author Spotlight! Who's Who Wednesday Author Lee Ann Sontheimer Murphy! Our newest Who's Who Wednesday Author is Lee Ann Sontheimer Murphy! Let's give a lovely welcome to her. And for one lucky winner, when you follow this blog, Lee Ann's blog http://leeannsontheimermurphy.blogspot.com/ and leave a comment with your email on this blog. Lee Ann will be offering up to the winner a choice of one of her available titles! Some come on join the fun! 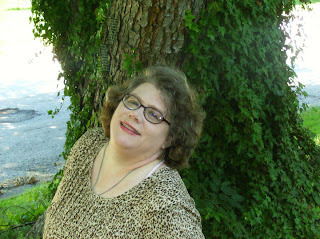 Bio: Lee Ann Sontheimer Murphy is a full-time romance author. A native of the old historic city of St. Joseph, Missouri, one time home to both Jesse James and the Pony Express, she now lives and writes in the beautiful Missouri Ozark region. 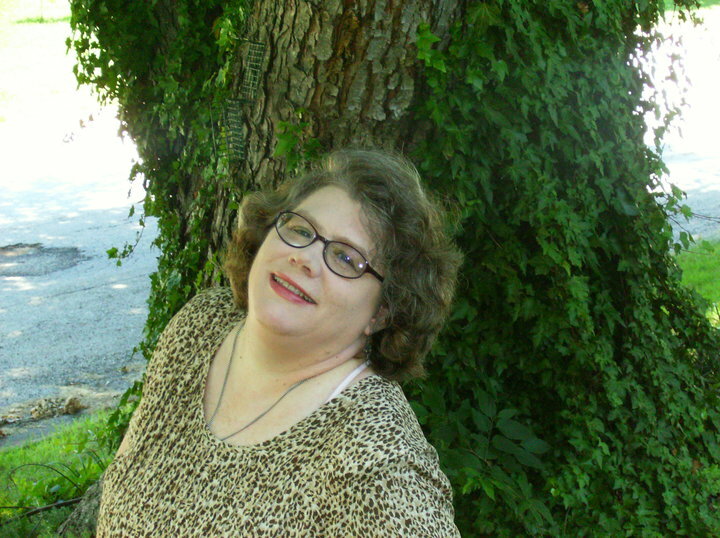 Her romance novels include Wolfe’s Lady (December 2010 Evernight Publishing), Love Tattoo, (March 2011, Evernight), Love Scars (June 2011, Evernight), Love Never Fails (May 2011, Rebel Ink Press), Kinfolk (July 2011, Champagne Books) and The Marriage Cure (Astraea Press). Other works scheduled for upcoming publication include four other novels, short fiction in several anthologies and more. Her work also appears in nine anthologies to date. She is a member of Romance Writers of America, the Missouri Writers Guild, EPIC, The Ozark Writers League and Paranormal Authors Guild. She earned a BA degree in both English and History from Missouri Southern State University as well as an AA Degree in Journalism from Crowder College. She worked in broadcast media for a decade and has also worked in the education field. She is married to Roy W. Murphy and the couple has three children, Emily, Megan, and Patrick Murphy. If Lee Ann – or Lee as many of her writing friends know her – isn’t writing, she’s reading or spending time outdoors. In Neosho, Missouri, the small town she now calls home, she serves on the local library board, is active in the annual Relay For Life fight against cancer, has worked with the local Arts Council, and is active in her parish. Now on to the interview. It's crazy and since I'm writing all the time, everyday, weekends, holidays, my life's more than a little crazy too. I'm up early to tend my blogs, emails, etc before the family's up and I'm often still at the computer late. I work around everything else and try to keep it balanced. By the end of 2011 I will have nine novels out plus several novellas, a novella and three novels so far for 2012, one unsold novel and multiple works-in-progress. So a lot, I guess. Picking a favorite novel would be trying to pick a favorite out of my three kids - I love them all. That said, I have to admit that Guy's Angel, a historical romance set in my old hometown in 1925, is very close to my heart. The setting came out of my grandparents' stories. Do you have any suggestions to help me become a better writer? If so, what are they? Write, write, write. Learn to write as concise and clean as possible. I've learned so much from edits and I'm still learning. Write the story that only you can - never worry about what may trend or what's popular. What would your ideal career be, if you couldn't be an author? That's a good question. I've worked in broadcast radio doing a little bit of everthing, on air work, writing ad copy, voicing commericals, all of it and loved it. I also spent some time substitute teaching and considered getting teacher certification to do it full time. But my dream job if I wasn't an author would be to run a restaurant, a traditional old school place with daily specials. I grew up hanging around the fringes of the restaurant business - two of my aunts, at different times, had restaurants. Before I went to school, I loved playing around my Aunt Mackie's restaurant, filling the spring loaded napkin holders, etc. When I was in high school, my Aunt Janet and Uncle Bill owned a restaurant. On one visit to see them, I ended up cooking short orders. I also worked in restaurants in my high school and college years. And my mom's grandparents owned restaurants back in the day. I love the hustle and bustle, the rattle of dishes, the customers, and all of it. If you were to do your career as an author again, what would you do differently, and why? I would get serious sooner. When things really began to take off for me, I had made writing a priorit in my life, treating it like a job. That means that I sat my rear down at the computer everyday, that I worked whether I wanted to or not, and got serious. Have you ever been surprised by a controversy among fans or reviewers - for example, you created a character without thinking too much about what people would think of him, and found some readers loved him and some hated him? The biggest controversary I ever stirred up was in one of my newspaper columns. I've been a newspaper columnist in various places for more than twenty years. One of the larger papers that I wrote a Sunday column for is a regional one that extends coverage into four different states. That one was an opinion column and when Mel Gibson's movie "The Passion of the Christ" came out, I couldn't believe how people were being affected by the movie so I wrote my column with the headline "It's not holy - it's Hollywood". I still stand by that, too. I'm a person of faith and in my Catholic religion, we focus on the events depicted in the movie each Easter season. The events are holy but the movie? It's just a movie. But my opinions sparked a firestorm of comments and controversary. Some people hated me, predicted I'd go to hell, and the paper ended up dropping me as a columnist not long after. No worries, though, I found a new gig! 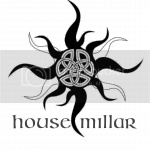 What TV shows do you watch? I don't watch a lot of television but shows I like tend to be different and quirky. Thanks to my daughters, I've become a fan of Supernatural and those Winchester brothers. Some of my favorites aren't on air right now but include Dead Like Me and Paranormal Cops. I love Billy the Exterminator and I watch several old retro shows like Bewitched and I Dream of Jeannie. Tell us about your newest release. My next up release is a romantic suspense story, Witness Protection Program, and it will be out from Rebel Ink Press October 3, 2011. It's a good story about a woman in the federal witness protection program whose cover is blown so she's whisked off to a safe house. She falls for the federal agent and against all rules, he falls for her too. What can the readers expect from you in the near future. I've got Witness Protection Program , my second Champagne Books release, A Time To Love (A time travel romance) is out now, and Sing We Now of Christmas, a poignant little love story out from Rebel Ink Press on December 3, 2011. I have three (so far - I expect that number to rise) coming out next year from Rebel Ink Press including Guy's Angel and a novella from Champagne Books that has Elvis as a character, Long Live The King. I also have stories in several anthologies coming soon - Jack O'Spec from Raven Electrick Press, Stories From The Hearth from Woodland Press, Midnight Seduction from Evernight Publishing, Stockings and Suspenders, also from Evernight, and a stand alone short from Silver Publishing out October 29 (a Halloween story, romance and speculative) called "World Without End, Amen". Where can we find your book(s)? Amazon.com, Barnes and Noble.com, Coffee Time Romance, All Romance Ebooks, Bookstrand, just to name the first few that come to mind. Some are available through the publishers including Champagne Books and Evernight Publishing. Lee Ann Sontheimer Murphy: Romance That Lives And Breathes The Power of Love! You are an amazing author!! Thank you for talking to us!! Thanks Nikki for the comment! It has always been my dream to write and get published. Finally that dream has come true. Thank for stopping by. I have been a lover of Romance books since the age of twelve. I am a mother, a gamer, a police dispatcher, a wanna be writer of erotica. I also love to chat, to rp (write), travel, listen to good music, drink a nice skinny vanilla latte and watch some good movies. I review all types of romance with the exception of sweet romance and young adult romance (though some exceptions may be made for sweet romances/YA romances). My favorite romance genres are: Erotica, Paranormal, Sci-fi, Fantasy, Contemporary, GLBT, in all sub categories as well (such as Vampires, werewolves, fairies, witches, cowboys, M/M, F/F, Menage's etc). Chances are no matter the length I will read it and review it. If you want your book reviewed by me please go to the review tab. Remember if it has heat, I will most definitely read it! Ebony Dreams has read 7 books toward her goal of 70 books.